A quiet confidence providing candid confidential advice. 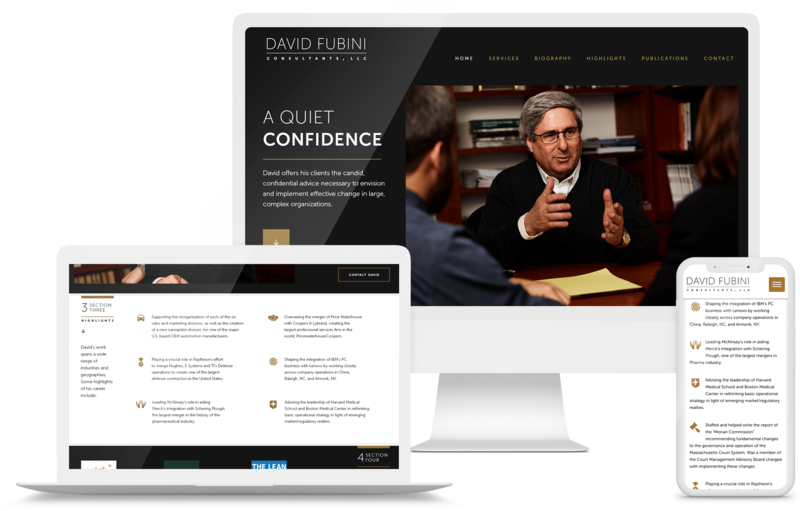 David Fubini has skillfully guided CEO's and other C-level executives in some of the most important merger and acquisition transactions in the last half century. As the founder and leader of McKinsey & Company's Worldwide Merger Integration Practice for many years, David offers a deep understanding of the financial, operational and organizational challenges that companies must face during times of transformational change. 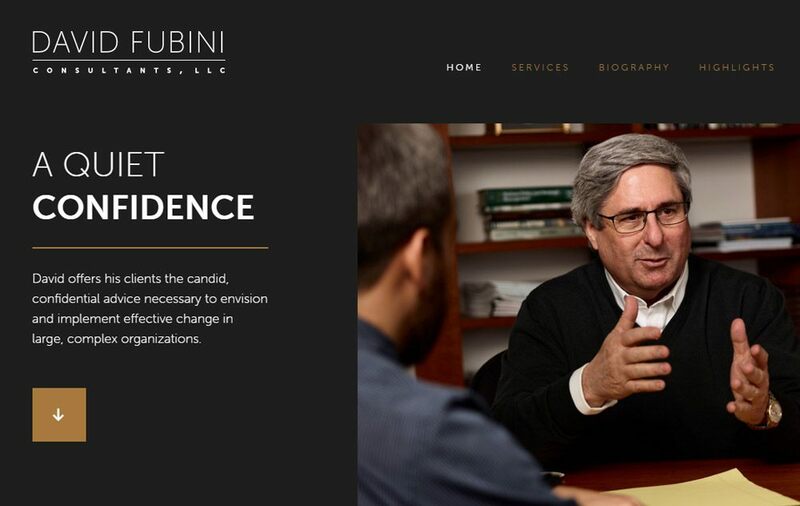 Some consulting type companies, prefer heavy detailed websites with an overload of documents, sub-pages, news articles and more, but for this website, we worked together with Fubini Consultants where the project goal was to keep it clean, simple and sharp. For the actual functionality, the goal was to approach the layout via a one-long form scroll-able home page with multiple sections to provide a user-friendly engaging way to present their information. 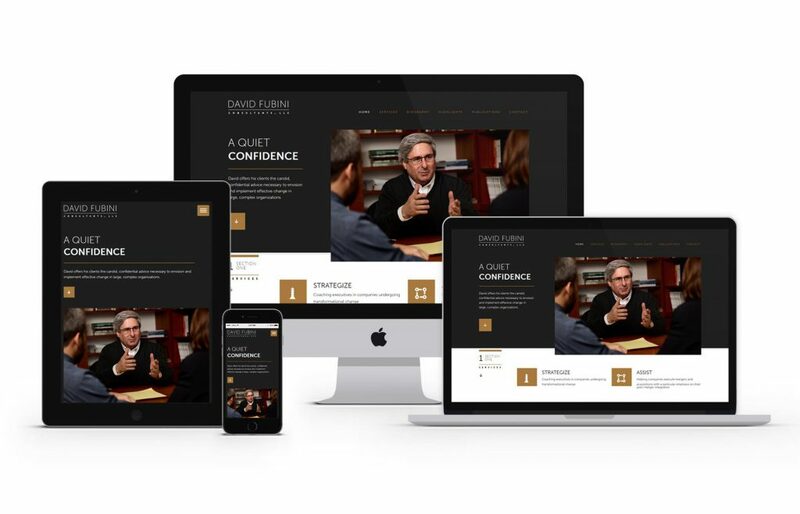 In addition, the new David Fubini Consultants website was built using WordPress as the CMS (Content Management System) along with a fully mobile and tablet friendly design leveraging Bootstrap for the responsive framework so visitors could benefit from a flawless experience on any of their devices from mobile to tablet and of course, desktop users.